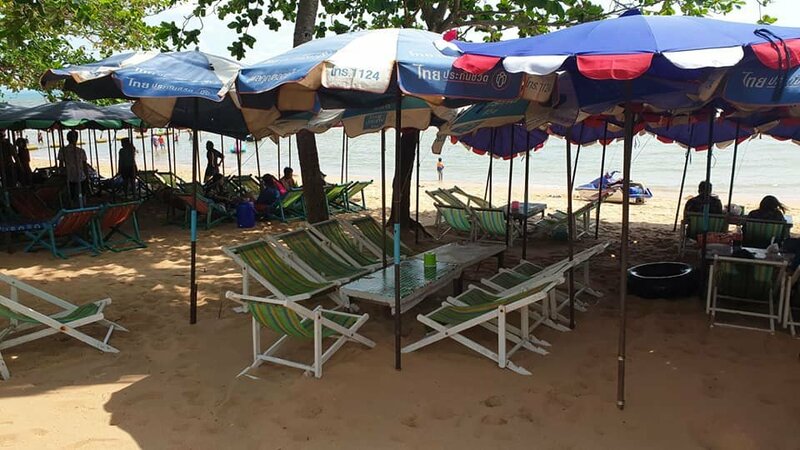 Several posts slamming a Jomtien beach operator appeared on Thai social media. Kitcha Thommawong said they had hired a kind of circular banana boat ride but got only 5 minutes for 600 baht. They pulled no punches in slamming the operator saying: "There are no tourists because of you bast@@ds". We Love Pattaya weighed in with their own assessment quoting a Thai expression that the fun was over before "the smell of the broken wind had had time to dissipate". Sophon sent their reporters to the area outside The Pat hotel at Jomtien to investigate. The operator of the ride was nowhere to be seen - the local authorities had come and rounded them up. But a deckchair vendor said it was all untrue. Wallop Ekwong, 44, said there were eight tourists - four children and four adults. The adults had asked the price and how long their children would get on the ride. They were told they would get 10 to 15 minutes on a trip out to some floats and back. The circular flotation device would be dragged out by a speedboat. The tourists agreed, said Wallop. Seeing as the riders on the flotation device were just children it was not intense but they got over ten minutes as agreed. There was no trouble at the time and he was as surprised as anyone when the negative posts appeared online as it was not deserved. So the deckchair vendor listened to the whole conversation and stopped the time of the banana boat ride? Does he do this for every ride? Circular .! I thought bananas were bent .. or at least not straight .. Very profound .. Does it have the same meaning as " you shat on us once you won't do it again " .? +1 Thanks a lot, spit my Sang Som on the keyboard. Perhaps they were EU approved bananas? They could also be lady bananas ..
Looks like the banana boat operators may have been taking lessons from the jet ski scum. Good to see the locals, diagnose what is wrong with tourism, even if late and belated. Deck chair vendor is full of B S.
Speak to any beach chair vendor and they will tell you the same story as to why there has been a dramatic drop of in customers lately. The drop off correlates exactly with the ban on smoking on the beach. 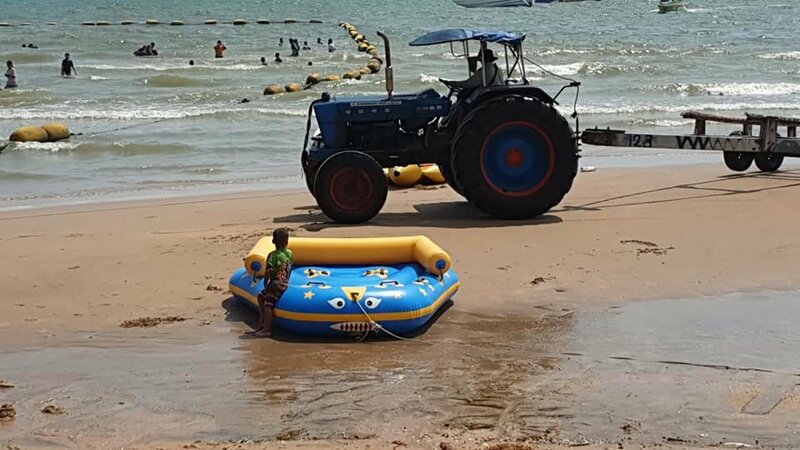 It is packed down here today on Jomtien Beach. Everyone is double parked. Car parks full. The beach is full. Tourism appears to have recovered.